That really doesn’t mean much to me anymore. Every day is a Friday or a Saturday. What distinguishes the days for us are trips and kite flying days. Our next trip is a week from today. We’re going to our first sport kite competition. No, not to compete. Just to watch and see what they’re all about. What distinguishes today is that we went flying at our favorite beach. 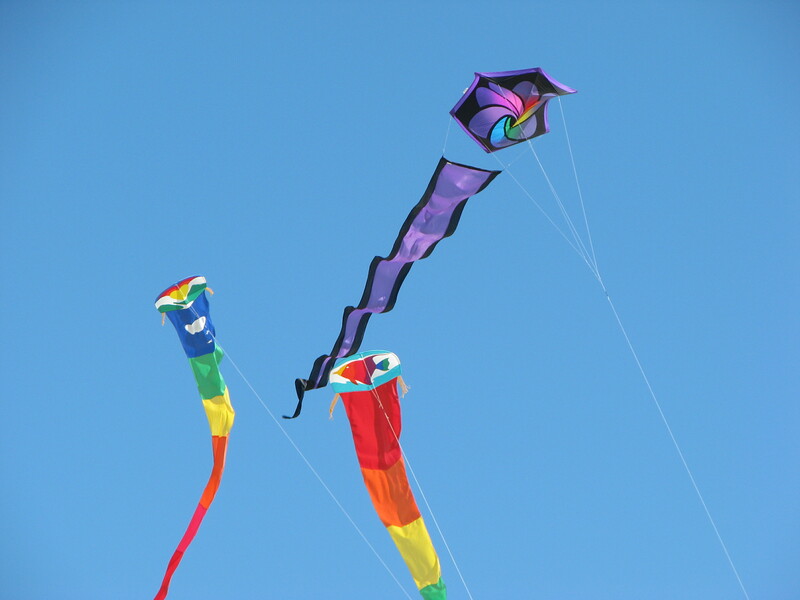 We popped up three of the Prism Stowaway series of kites. Our two parafoils, one in ice and one in citrus, and the delta in ice. Yes, I couldn’t resist and I bought another parafoil. The citrus one (green). All three are so easy to carry and put up. 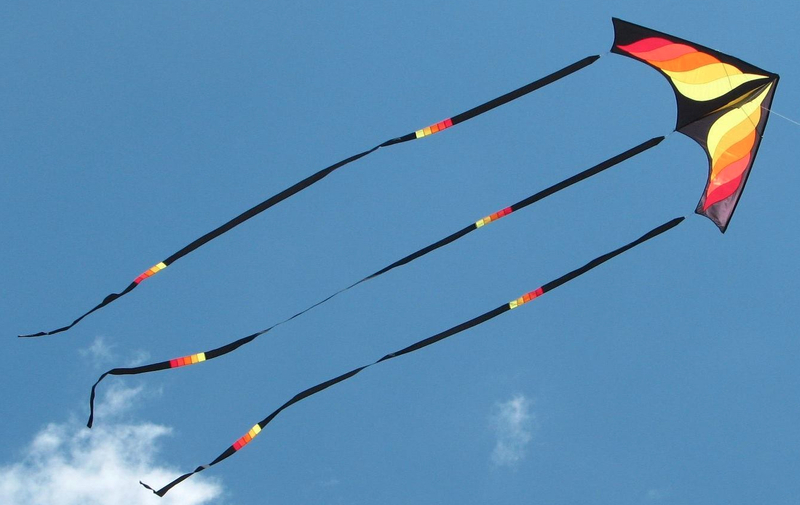 I recommend them to anyone who wants a “spur-of-the-moment” kite in their car. And, of course, I practiced with my Vamp Devil. I tried out a new set of quad handles. They’re a slightly different configuration that my other handles. I didn’t notice that much difference but I’m such a novice at the quad line thing, I may not have known any better. Was there a reason we flew today? Actually there were a couple of reasons. It is hot and only going to get hotter. We wanted to take advantage of the cooler (relativity) morning before the scorcher afternoon. And school is now officially out and the tourists are going to be arriving in force. We will be trying to avoid the beach on the weekends and, thereby, avoid the traffic and the attitudes. Yes, there seems to be a growing attitude of visitors that they’re wants and desires (I won’t say needs) are to come above anything else. They are on vacation and are, therefore, to be catered to. I grit my teeth. And they dont’ think they need to follow basic driving courtesies. Agreed, not everyone is like this. But you know what they say, a few bad apples can spoil the barrel. On to more pleasant things. Upon checking my emails today, I found quite an unexpected surprise. OMG I am now the proud owner of a Chiroptera by Will Sturdy. 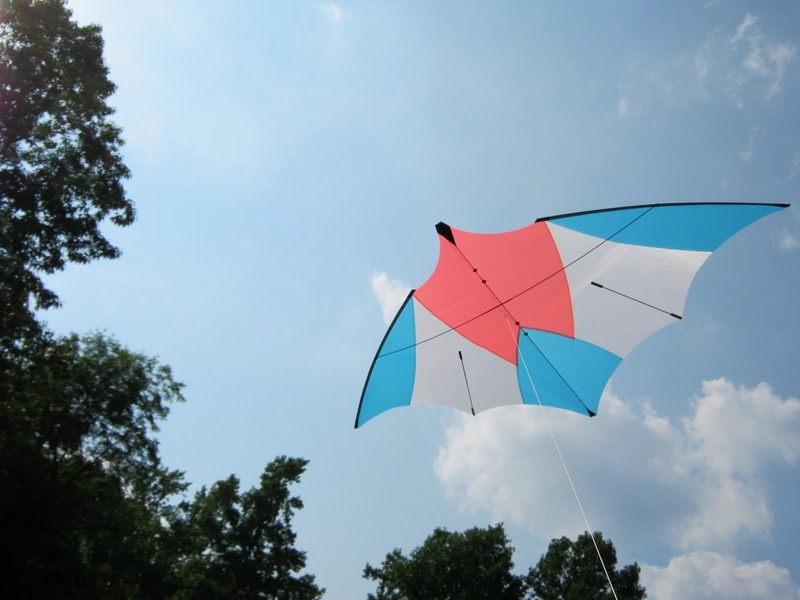 The Chiroptera is an indoor/xUL single line kite. An original design. And I won it in a raffle. Me, who’s unluckiness is legendary, won a kite. I will pick it up when we go to the sport kite competition next weekend. I now have a kite to fly on those miserable windless days this summer. I’m very, very excited! I’ve started another kite building project but I’ll leave that discussion to another day.